Truthfully, a lot has been cooking around here, both figuratively and literally. More to come on the figuratively. Today I want to mention something that is cooking literally at our home – Cauliflower Rice. Have you heard of it before? It’s sort of like it sounds, cauliflower that is ground up in a way that resembles rice. For health nuts it serves as a substitute for rice. However, don’t be fooled – it is not an exact substitute for rice. It only mimics rice in that it acts as a filler and absorbs sauces and flavors well. If you plan to test it out a prerequisite to enjoying cauliflower rice is liking cauliflower in general. Maybe that’s a no-brainer, but I just want to put it out there, so nobody is surprised. 2) Place florets into food processor or super nice blender, grind up to small rice-sized pieces. 3) In a large saucepan on medium heat, add a TSBP of your favorite cooking oil (we use coconut oil), then add garlic and onions, and let them sweat until the onions become translucent (about 3 min). 4) Add cauliflower rice to large saucepan, stir to combine and heat. 5) Add 1/2 cup water and 1/2 chicken stock to the mix, cover, stir occasionally. 6) Remove from heat once cauliflower absorbs the liquid and reaches a tenderness you enjoy (it’s like pasta – you can make it as soft or al dente as you like). 7) Add whatever it is you like to eat with rice to the mix and you’re good to go! You may be wondering to yourself, why the heck one would want to replace rice? I know where you’re coming from as rice is one of my all-time favorite comfort foods. The reason why our family decided to try it had a lot to do with our wish to reduce and regulate sugar in our diet. 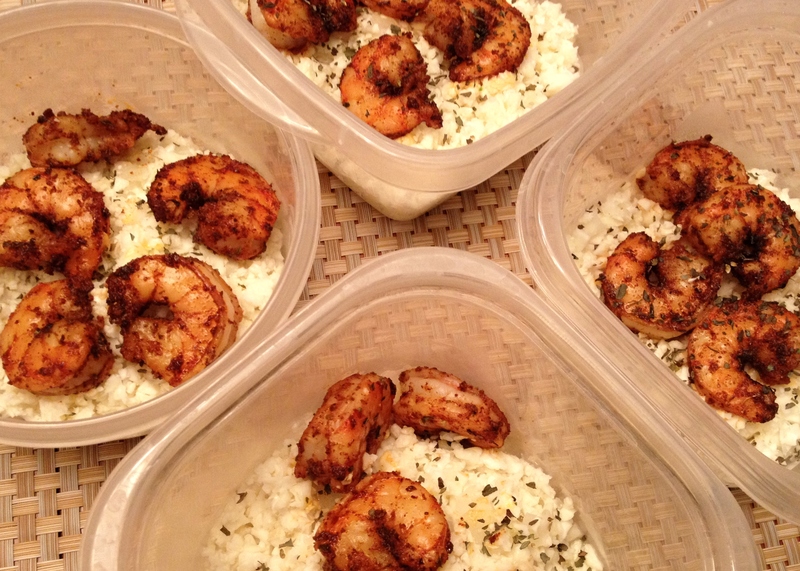 We heard of cauliflower rice as an alternative to the carb- and sugar- loaded white rice. So one night Jay made a cajun-y shrimp dish with this healthy substitute (pictured above). Our only complaint was that it needed some salt. Other than that, we both enjoyed the dish, and we even shared it with a friend who liked it enough to ask us for the recipe. That means we are three for three on likes. What’s your take on it? Have a go-to recipe or method? There are many variations. I encourage you to find a recipe that intrigues you and report back if you’re in the sharing mood! New Years is up and coming – why not get a jump start on your resolutions and check out this video to get informed and maybe inspired. I always catch myself in the excuse, “I don’t have enough time.” Frankly, to a degree it is true – I pack my life to the brim and expect nothing less than to be busy and to live my life to the fullest. 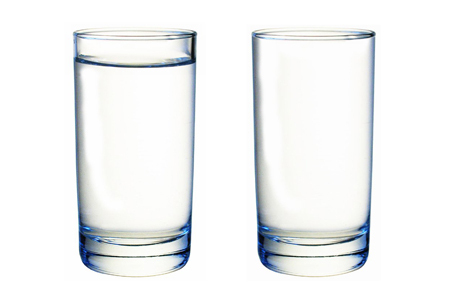 And yet, what does it mean to be full? What is the use of consuming everything if we don’t take time to digest what we are going through? What is the point of another experience if we cannot recall it or harness it for a purpose – big or small? As I get older, these are some of the questions I sit with when I have time to think. So what am I going to do about it? Of course…I’m going to add one more thing to do on my to-do list: I’m going to stop do-ing for the sake of being full and start be-ing…more disciplined with my actions. There is a difference between “getting things done” and being disciplined. We often confuse accomplishment and task-oriented lifestyles with success, when in reality, when we are not present in what we are doing, we are simply performing a series of acts without awareness to ourselves or to others. Discipline is something that has gotten a bad reputation over the years. Doing the same thing over and over and expecting results is insanity, right? And it’s boring, too. Well, not totally true. We need discipline in order to build character and in order to build anything, really. Even Pablo Picasso had a systematic routine behind his creative process. Discipline seemed to take him to some interesting heights. So I ask myself and other wanderers and dabblers out there, what prevents us from acting with discipline in our lives? Why do we fill our days with experiences and things without putting much thought into what we are doing? 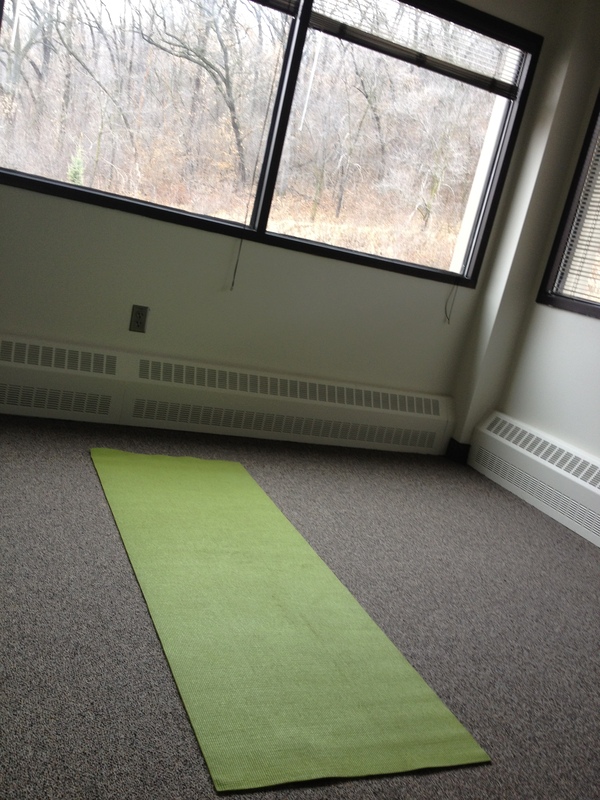 I keep a yoga mat at work in case I feel inspired to take a break and practice. I have my theories, but that is not what this post is about. This post is about my declared commitment to getting back into a routine. My first step began a month ago when I finally took the leap of faith and signed up for a 9-month yoga teacher training. For those that know me, you may wonder what makes this training any different from all the other programs I have done. I asked myself the same question. With this sign on, it’s different because I am not just moving literally and figuratively through the motions, I am being present, and I am finding yoga is a great conduit for creating the discipline I need in my life. For those interested, feel free to join me: I’m starting with 5 minutes of yoga a day for one month (3- A Sun Salutations: see photo below). Seems like an unfortunate dedication for a yoga teacher-in-training, but the point is not the quantity of the exercise, but it is the commitment that I am after. Don’t get me wrong, nice abs would be a bonus, but it’s the character and stable foundation that I want to build. As a result of this practice I am finding two things already: I do have enough time to do what I want to do; I just need to be more aware of the way I spend my time. When I am present, I can make sure that what I “do” aligns with who I want to be. Practice: Where do you lack discipline in your life? Where do you have discipline in your life? When can discipline be harmful and when can it be helpful as it relates to your health and well-being? …To your relationships? … To your career/personal development? What is one thing you’ve wanted to commit to but haven’t had the discipline to do? Can you find the time to carve out 5 minutes a day to do something you care about 5 days a week? Try it out for a month. Journal about your experience. If it brings you joy and the results you need, consider continuing with it. If it doesn’t then try something else. Remember the point is to practice discipline, the outcome is less important. 1) Inhale 2) Exhale 3) Inhale 4) Exhale 5) Inhale 6) Exhale – then stay for 5 inhales/exhales 7) Inhale 8) Exhale 9) Inhale 10) Repeat.